No matter the iteration of the word, they’re saying the same thing: they want to come to market with products that chart the path for the industry. The question is: what is anybody doing to really accomplish that? Just stating the word does not change the product development process or disrupt the industry with new and truly innovative products. 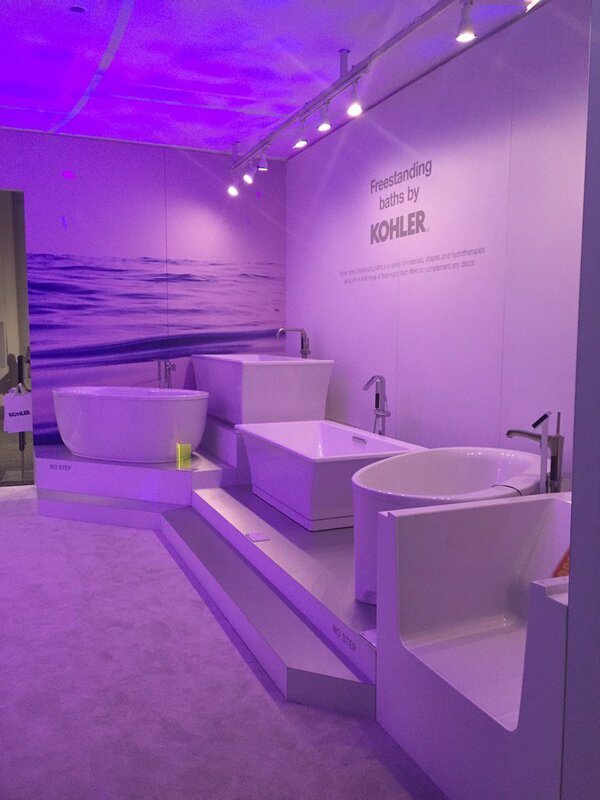 That’s why while I was at the 2016 International Builders’ Shower (IBS) and Kitchen and Bath Industry Show (KBIS), I was delighted to run across a company doing exactly that. Cosentino® is a building products company that develops stunning quartz and stone options for kitchen and bathroom surfaces. One of their products, Silestone®, is a beautiful high-end surface made of 94% quartz. But what makes this product so innovative is not just the advanced bacteriostatic technology or its incredible resistance and durability, or even its numerous designs; it’s the way Cosentino develops those designs. Through the support of their Silestone Trendspotters, a diverse group of top designers from across the country, Cosentino creates new looks every year inspired by some of the most cutting-edge and forthcoming designs in the market. How do they accomplish this? Cosentino goes straight to the other end of the channel to talk to the people using their product (and, presumably, their competitors’ products), and then gets their insights to develop a product that will set the course for tomorrow’s trends. Let’s be clear: these designers aren’t just choosing colors. Manufacturers everywhere bring in a designer or two to pick out colors; that’s nothing new. The Trendspotters is a team of designers from all different places across the country, from different points in their careers (some veterans, some up-and-comers), from different styles and backgrounds, from different philosophies and clienteles. Cosentino made a bold move in picking them, flying them to Italy, and turning them loose to work with engineers, product developers, and others on the manufacturing team to create a product they collectively thought reflected where design is headed. The magic of this is in how fearless Cosentino was in being open to the opportunity of what could be made when this diverse team of forward-thinkers got access to their resources, intelligence, and the inspiration of Italy. Ink: This jet black design is a classic, clean, and simple showstopper in most decor. By complementing the boldness of the Etchings design with a timeless shade, homeowners can feel confident their choice won’t go out of style any time soon. Aquatint: Look familiar? Our Art Director, Stephanie Voss, wrote a blog last year about how calming blue hues like Pantone’s Serenity will influence the building products industry in 2016. Proof pudding. This approach to product development and design is brilliant precisely because it seems so obvious—but it’s not. Not everyone in building products is doing this. In fact, a lot of manufacturers either base their designs on focus group input or simply create designs based on studies published through standard trade outlets. Both options have their place, but are also inherently reactive—not always the best option for companies who seek to be innovative. But who better to tell building products manufacturers at the top of the channel where design is going than some of the top designers in the country? By using these designers’ “on the ground” knowledge, Cosentino’s Silestone product is poised to set the tone for other designers and consumers in the coming years. It takes time, energy, patience, investment, and courage to utilize an approach like this—an approach that empowers someone outside of your company to not only influence product design, but to create it. But that is true innovation. It’s listening, it’s using resources, it’s collaborating, and it’s understanding the channel on every level and using those insights to better your product and better the entire industry. Using focus groups and studies is also necessary for understanding today’s trends, but setting tomorrow’s requires further channel insights—exactly what Cosentino is doing with its Trendspotters. I’m certain that this new line is going to be a hit, but I’m even more certain that the process will open the building products world to even more innovative creations. This year, several members of the ER Marketing team and I attended the annual International Builders’ Show (IBS) and KBIS in Las Vegas, NV. As anyone who has ever attended can attest to, this is a big event that can be overwhelming. We’re not talking your average trade show. It’s one of the biggest—if not the single biggest—event of the year in the building products industry. While there, you see all the cutting edge technology that will be setting trends for the coming years….not to mention educational sessions, model home tours, and more. And hey—as a bonus, it’s in Vegas. Who can complain? While there, the ER Marketing team was using #IBSDoubleTake to share all the things that made us do a double take at the event—the things that really caught our attention. Here is a quick list of the top 5 marketing lessons those in the building products industry need to know. When it’s not easy to explain your products or services in a booth, sometimes it’s a good strategy to go all in on your brand. ARCAT did that well with their booth. When you can manage it, taking your booth from product showplace to play place can work well. CertainTeed’s wall climbing demo and celebrity guest, Mike Holmes, proved it; they had high traffic and buzz throughout the event. If your product is easy to install, don’t just say it—show it. 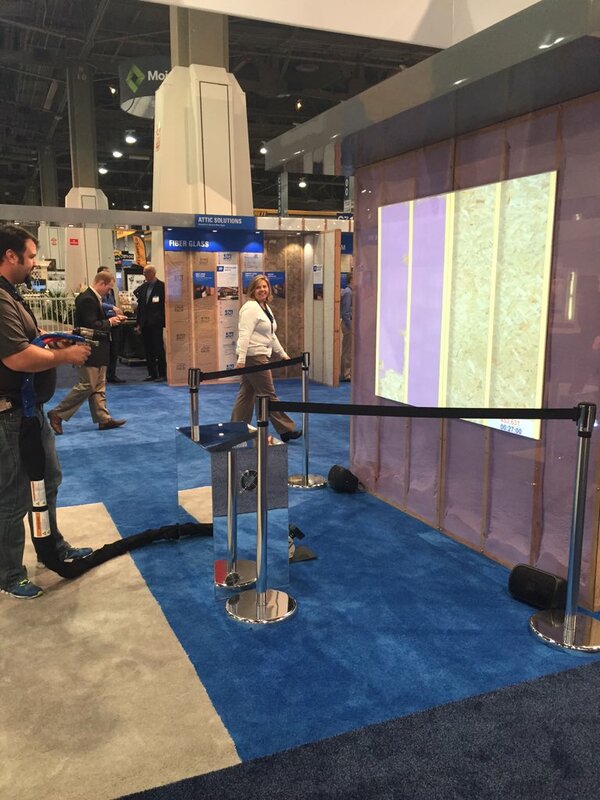 Plastpro doors drew a crowd with some fundamentals of door installation. It just goes to show that good lessons are always interesting to those in building. Speed is now a matter of trustworthiness. Whether in marketing or customer service (and some would argue those lines are getting blurry), responding quickly is proven to increase trust with your audience. Booth tech makes a difference, especially when prospects can engage with it. Johnsmanville had a spray foam simulator at the event that felt a little like a game. We competed, using the actual install gun, virtually pointed at a screen so users could spray the fill area with a virtual, 3-inch expanding insulation. What a smart way to showcase this product! Look out for part two of this blog series—coming this week. We’ll be discussing the Top 5 Design Trends from this year’s IBS that building products marketers need to be aware of in 2016 and beyond. We all know the story, in fact many of us have seen the movie, Facebook is the biggest social media site with over 800 million users. However, why is this important to the building product industry and more specifically how does this impact homebuilders? Last week during IBS several homebuilders shared their successes during a morning educational session. Claire Easley, Senior Editor at Builder, recapped many of the topics, which included Facebook, Twitter, LinkedIn and blogging. Here are some of the ideas shared by builders during the session. Make it Public: At Southern Homes the sales reps are encouraged to “friend” prospects to aid in the prospecting process. Incentives: Provide buyer incentive by hosting giveaways on the builder’s Facebook page. Philanthropy: Use this social media tool to promote charity on behalf of the builder. Dialogue with potential buyers: Many homebuilders use Twitter to “chat” with potential buyers. Heartland Homes in Pittsburgh, PA, partners with suppliers to provide homebuyers details on manufacturer features and benefits. While not identified in the session, YouTube can be used to provide potential buyers tours of their dream home. YoutTube is the 2nd largest search engine, behind Google. Lets face it, social media is established, it isn’t going anywhere soon. Therefore, the building product industry along with homebuilders are embracing it as a valuable communication tool with their prospects. Builders Share Social Media Strategies That Win by Builder Magazine online.